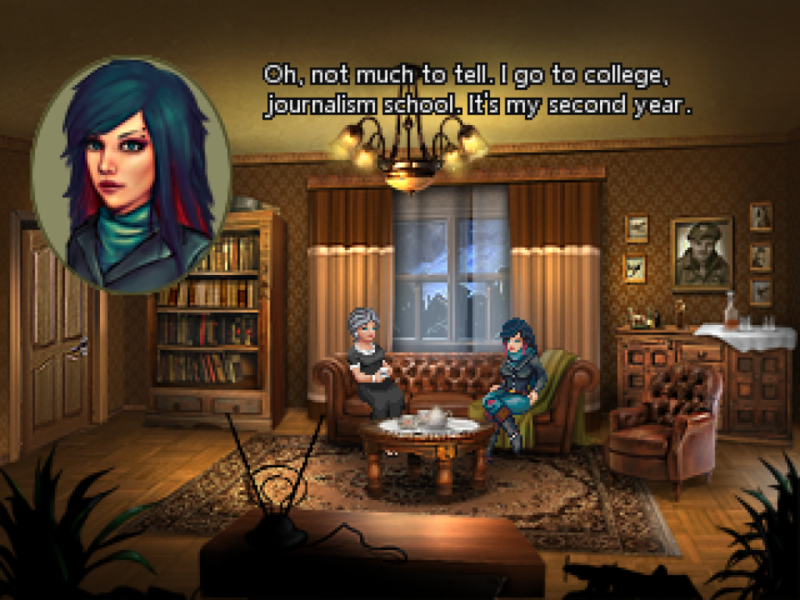 If you like your pixels big, Darkside Detective is the game for you. Developed by the incredibly talented Paul Conway, is a dark (yet charming) point and click adventure. By cleverly mixing pixelated characters, fake shadows and soft lights, it manages to create a very modern atmosphere which still blinks at the best retro games. To make this game even better, Ben Prunty is working on its music; yes, THAT Ben Prunty who composed the OST for FTL. The game also features some guest writing from Brenda Romero. Compared to how traditional games are released, Darkside Detective will come out in seasons, much like a TV series. The first one, “Deadbeats in Downtown“, is planned for later this year and it will feature five different cases. In the best tradition of point and click adventures, the protagonist of Gayway visits his hometown to investigate the death of his father. As the name suggests, the game revolve around the story of five gay characters. As the story unravels, the game touches many serious and actual topics, such as how homophobia affects people’s life in the small city of StrongTown. Gayway has a brilliant story with an irreverent narration which is oriented not just to gay gamers, but to everyone who likes point and click adventures. The game is currently under development by the Italian studios Camouflame, which is also working on the co-op local multiplayer QUATTRO. Camouflame has recently launched a Kickstarter campaign to help them funding the development of Gayway. In a country as close-minded and indie-enemly as Italy, I do believe a gay-themed game made by straight indies needs to happen. When a game advertises “320×240 resolution” as one of its main features, chances are is going to be a pixelated adventure. This is definitely the case for Kathy Rain, a point and click game which brings you back to 1995. The protagonist is (guess!) Kathy, a sassy motorcyclist forced to visit her hometown by the death of her grandfather. As it always happens in point and click adventures, Kathy will soon discover the old man was hiding a terrible secret, which is somehow related to her childhood. The game features some of the most detailed and realistic backgrounds.